The semantic web is an evolving extension of the World Wide Web in which web content can be expressed not only in natural language, but also in a form that can be understood, interpreted and used by software agents, thus permitting them to find, share and integrate information more easily. It derives from W3C director Tim Berners-Lee’s vision of the Web as a universal medium for data, information, and knowledge exchange. The Resource Description Framework (RDF) integrates a variety of applications from library catalogs and world-wide directories to syndication and aggregation of news, software, and content to personal collections of music, photos, and events using XML as an interchange syntax. The RDF specifications provide a lightweight ontology system to support the exchange of knowledge on the Web. Based on the knowledge that I have so far (which admittedly isn’t much), I’m quite convinced that this — the semantic web riding on top of RDF or a similar XML-based protocol — is going to change the way we use the Internet. Not like YouTube or Facebook “changed” things, but more like going from BBSs to the Internet. The word semantic stands for the meaning of. The semantic of something is the meaning of something. 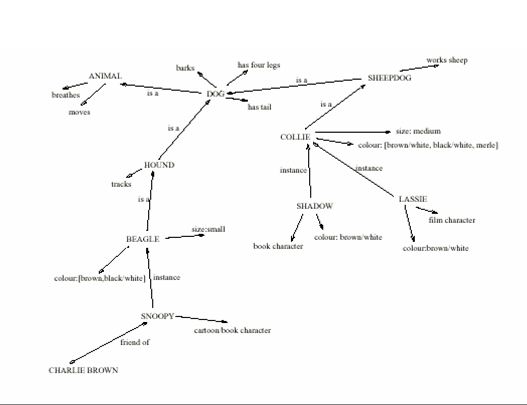 The Semantic Web is a web that is able to describe things in a way that computers can understand. The Beatles was a popular band from Liverpool. John Lennon was a member of the Beatles. The record “Hey Jude” was recorded by the Beatles. Sentences like these can be understood by people. But how can they be understood and processed by computers? This is what the Semantic Web is all about. Describing things in a way that computers applications can understand. The Semantic Web is not about links between web pages. The Semantic Web describes the relationships between things (like A is a part of B and Y is a member of Z) and the properties of things (like size, weight, age, and price). My specific area of focus, however, is going to be looking at how to leverage this technology with people. p align=”left”> Hint: Think “semantic personal information exchange using RDF”.